Paul Pogba is overcoming his doubters, but could he be a future Ballon d’Or contender? If you thought the Paul Pogba hype was going to take a break following a quiet 2016-17 season, think again. After a quick start to Premier League play, the expensive Manchester United midfielder has already notched two goals and four assists in two games. 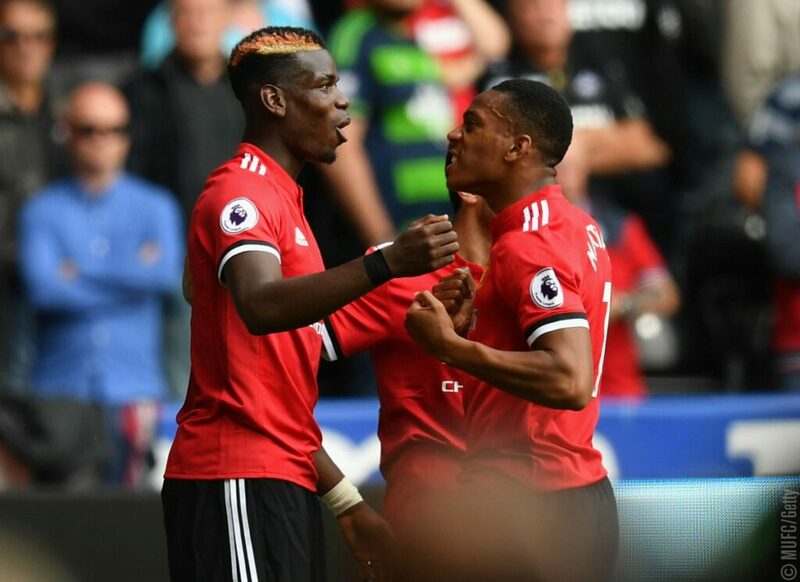 Club and international teammate Anthony Martial made headlines Monday when quotes appeared from an upcoming MUTV documentary, in which Martial calls Pogba the game’s best midfielder. “If he continues to play and improve like he is doing then I think he is also going to win the Ballon d’Or award in the next five years,” Martial said. It’s not groundbreaking news that fellow Frenchman Martial would give his seal of approval. It does, however, raise an interesting question as to who will be receiving the Ballon d’Or nominations once the duopoly of Leo Messi and Cristiano Ronaldo finally bows out. Neymar, who recently shattered Pogba’s once-record-breaking price tag, is a natural scorer who will be able to mount huge stats while playing in France. The Brazilian will likely be the clear favorite to win at least a few Ballon d’Or trophies after time is up for Messi and Ronaldo. Other intriguing competition for future years could come from the rising Real Madrid duo of Isco and Marco Asensio, not to mention more proven talents like Antoine Griezmann or Robert Lewandowski making a few last runs at the award. But for argument’s sake, we’re here to seriously entertain Martial’s strong comments. Is it unrealistic to think that a midfielder like Pogba who doesn’t normally score a ton of goals could win a Ballon d’Or? While recent history says he is at a disadvantage, as voters tend to favor players putting the ball in the back of the net, there is still a conceivable way for Pogba to someday be considered the world’s best. For positional comparison, legendary Spanish midfielder Xavi only eclipsed double-digit goals in two of his 17 seasons at Barcelona, but was able to finish third in Ballon d’Or voting three consecutive times. Pogba has never scored more than 10 goals in a season, though that should change this year. A lot needs to happen before Pogba consistently produces at the level Xavi once did. But, manager Jose Mourinho has seemed to settle on putting Pogba at the right wing, allowing him more freedom in the attack as he plays the role of catalyst in feeding the likes of Romelu Lukaku. Finding his home on the right side of Manchester United’s 4-3-2-1 should also allow more goal scoring opportunities. 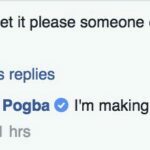 We know Pogba has the athletic stature and innate technical skills that virtually any player in the world would envy. His challenge now, as with many young players, is to develop a consistency on the mental end that cuts out the silly lapses that he has received criticism for in the past. Martial’s five-year window for this prediction is also convenient because it has two World Cups and a Euro fitting into it. There is no reason France should be anything short of spectacular in the coming years. Because the French are overflowing with talent that is extremely young, most consider they will be the favorites for the 2022 World Cup. 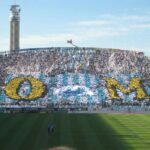 Still, they shouldn’t be discounted for the next year’s World Cup in Russia, where a consensus of oddsmakers place them with the third best title odds behind Germany and Brazil. Pogba should be the constant figure of those teams, facilitating for a brilliant young core of forwards like Griezmann, Martial, Kylian Mbappé, Ousmane Dembélé. 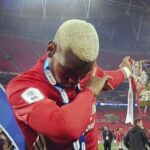 As with Manchester, Pogba’s challenge will be to not just be considered a good starter for the team, but to become the face of French football. Martial’s conjecture is particularly bold because it comes just two weeks after Pogba virtually disappeared on the pitch against Real Madrid in the Super Cup loss. It was another performance in which his critics could point to and say he’s still not ready to play at a consistent level against the world’s elite. There is maybe no player as perplexing as the 89-million-Euro man. Half of the world calls him overrated, while the other half is holding its breath for something magnificent to happen. Either way, the coming years of Pogba’s career will be worth watching. Follow Michael on Twitter @mkrumholtz.